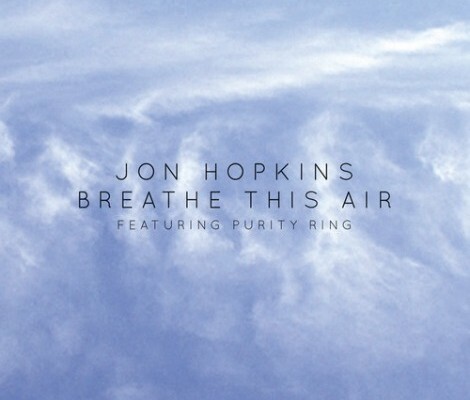 Domino Records and Jon Hopkins have just given us a brand new version of “Breathe This Air”. The newness comes in the form of layers of beautifully fresh vocals from Megan James of Purity Ring. His album is tipped as “the hypnotic accompaniment to a journey of creativity” – a true testament to an exciting new artist. Headlining at KOKO in London middle of September, Purity Ring will perform with Jon Hopkins in LA too! An impressive duo who seem to share a mutual admiration and creatively sound relationship after Hopkins remixed ‘Saltkin’ and ‘Amenamy’. We all secretly love the melancholy and this dark and dust covered Techno rendition is a hop skip and away from a replay!